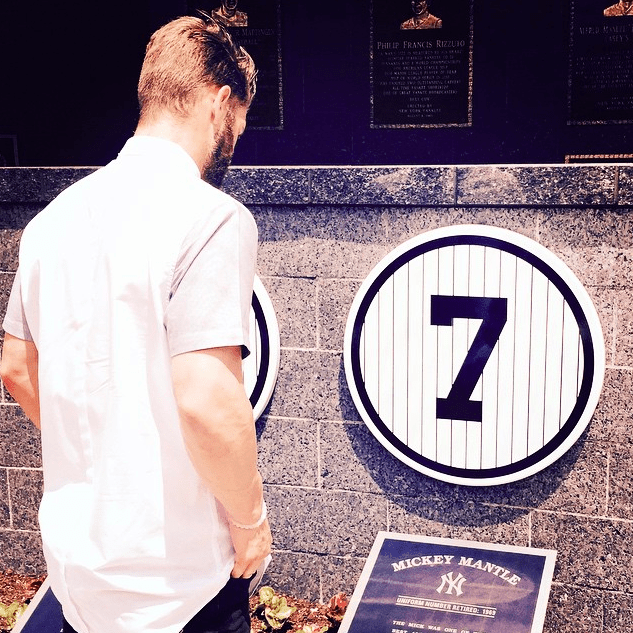 Bryce Harper never had the chance to homer at historic Yankee Stadium. But today, in his first game in the Bronx, he added Masahiro Tanaka to his wall of Big Game pelts. He added Yankee Stadium to his list of parks homered in. His blast to center tied the game at 1-1, and was the only run the Nationals would score off Tanaka. And my father in law called tonight, he’s a Yankees fan. He was with my wife and daughter about an hour from Yankee Stadium on the east coast. He said he was going to watch the game and take a good look at Harper – and he mentioned that Harper may someday be a Yankee. 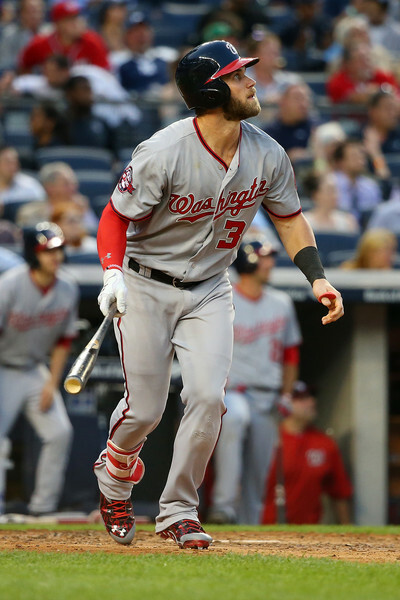 Although Harper was non-committal at any stance in this New York Post article, he has stated many time before that he hopes to be a National his entire career. Bryce Harper checking out the monuments before today’s game. You can’t blame the guy for loving Mickey Mantle and the history surrounding the Yankees though!